Three days of music, art, talks, readings, and discussions. THREE DAYS of free events hits Galway’s Westend tomorrow, Saturday, and Sunday during the Westend Curiosity Trail, featuring music, art, talks, readings, and discussions. It begins tomorrow [Friday October 12] at 6pm in Just Art It, with the panel discussion ‘Art and Activism’. Members of Galway Pro-Choice will discuss how creativity has played a crucial role in their campaigning and what's next in post-Eighth Amendment Ireland. There will be two talks on Saturday. At 3pm, the Róisín Dubh will host ‘The Migrant Voice in Irish Art’, a talk featuring artists Vukasin Nedeljkovic and Tuqa Al-Sarraj. It will be chaired by Dr Charlotte McIvor from the Department of Theatre, Drama and Performance Studies, NUI Galway. After this, Áras na nGael will host ‘Irish language in a Multilingual community’, a panel discussion with Mairéad Ni Chroinín (Moonfish Theatre Company ), entrepreneur Joanna Zalech, Maria Karapish (Red Bird Youth Arts Collective ), Érin Nic Coinnigh (Galway Anti-Racism Network ), and Paraic Breathnach (Galway Arts Centre ). Storyteller Paul Timoney will perform in Taylor’s Bar and Beer Garden on Sunday at 2pm. Also watch out for Jad Brian, singers Ceara Conway and Aileen Lambert, poets Eva Bourke, Daniel Mulcahy, Saffron Lily and Maria Karapish in venues such as Dr Clare Apothecary & Clinic, The Tasting Room, and Tartare Café and Wine Bar. 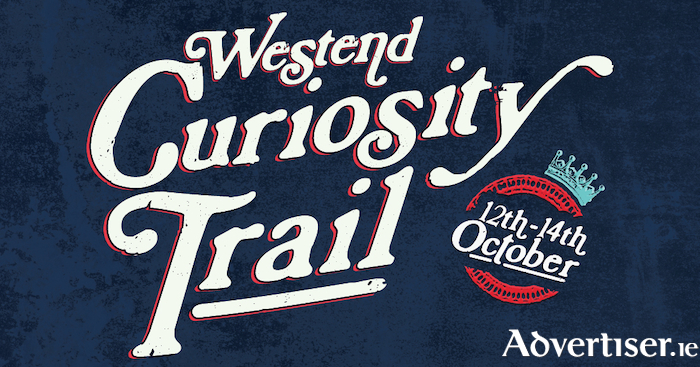 The Curiosity Trail is an initiative of Galway Arts Centre and Galway 2020 ‘Small Town Big Ideas’, in association with Galway’s Westend Traders’ Association. All events are free and family friendly. See www.galwayartscentre.ie and the Galway Arts Centre Facebook page.